��In 2005, I went on one of Barbara's trips to Greece and Turkey. It was a great experience and I would like to have gone on more trips with her. She continued to send me brochures and emails asking us to go on more trips. I wish we had. Life is short!! - - �.Barbara was a nice, friendly, moral and honest person- a real lady. We loved her! We learned from our annual 2012 Christmas Cards that a longtime and dear friend, Barbara Callahan, of Cobb County, GA, died on August 1, 2012. We were surprised, shocked and saddened by the news of her death. Our friendship started in the mid-sixties when Barbara and I both worked at the State Farm Claims office in Marietta. I was a Bodily Injury (Combination PD) Claims Representative and Barbara was Secretary to Jack Bryant, our Claims Superintendent. We were first located in the Cobb Federal Building near the Courthouse Square. We became close friends. Barbara and her family (husband Charles, and sons, Tim and Sam) attended our wedding in October 1966 at Antioch Christian Church in south Oconee County. Charles Callahan was the Minister at the Acworth Baptist Church.Charles also worked with the Cobb County Government. Betty also became a friend and we were their “out of church friends’. We visited in each other’s homes, would go to restaurants in Downtown Atlanta – I remember “Top of Peachtree” very vividly. We accompanied them to Tate, GA, Jasper, GA area one weekend to visit Barbara’s mother, Ms. Philyaw. I had finished one year at the University of GA Law School when I started working for State Farm Claims in August 1965. Barbara encouraged me in finishing Law School and passing the Bar. I finished at night law schools in Marietta, with assistance from the GI Bill. Betty and I then moved back to Oconee County in July, 1970. Jennifer was born in November 1970. We visited the Callahans with Jennifer and kept up with each other. 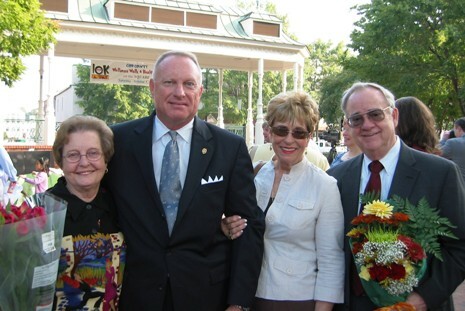 Betty and I attended Barbara’s State Farm Retirement Reception in Kennesaw in the mid-90’s. Jennifer went on to be a teacher in Cobb County – (Lost Mountain Middle School in Kennesaw). Tim Callahan became the Chief of Police in Kennesaw, GA, and Sam Callahan works in Management at Lockheed, Marietta. Barbara and Tim attended the Handprints Ceremony at the Marietta Square when Jennifer was Teacher of the Year in Cobb in 2006. Charles also worked with the Cobb County Government. After Barbara retired from State Farm and Charles retired from his county job, they started Beulah Land Tours. 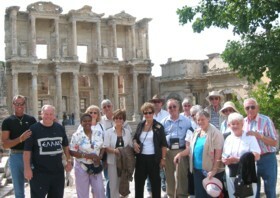 They were tour leaders for groups visiting the Holy Land, (Israel, Syria, Egypt, Greece, Turkey, Rome, etc). Charles died January 12, 2004. Barbara continued with the tours and had led 34 such tours at the time of her death. 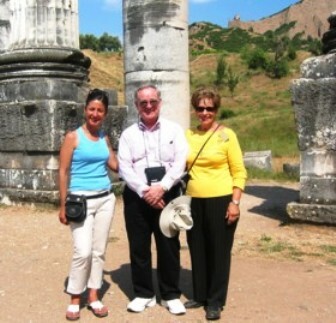 In 2005, I went on one of Barbara's trips to Greece and Turkey. It was a great experience and I would like to have gone on more trips with her. She continued to send me brochures and emails asking us to go on more trips.I wish we had. Life is short! 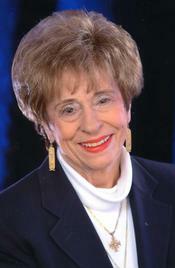 Barbara was a nice, friendly, moral and honest person- a real lady. We loved her.